I feel so privileged to be able to share both my passion for & knowledge of Pilates, it is a never ending and wonderful learning experience for both teachers and clients. One learns to move his/her body more intelligently and functionally whether it is for competitive sport or daily living, hence everyone reaps the benefits and that is why I love to teach Pilates. June came to Pilates from a medical background where she worked as a radiographer for several years. The nature of that career eventually gave her a repetitive strain injury while simultaneously making her scoliosis worse! She was advised to take up Pilates by her physiotherapist which was the beginning of her Pilates journey. It was not love at first sight in the beginning. June was a competitive tennis player, very energetic, very fit and wanted to “feel the burn”. But being one that doesn’t give up before mastering anything she tries, she stuck with it and saw very quickly incredible changes in her body. Inspired by these changes, she trained as a teacher with Body Control Pilates. Her passion for mastering the Pilates method is inspiring. As is her total commitment to ensuring our clients learn this method thoroughly and see for themselves the transformation it can bring in their own bodies. 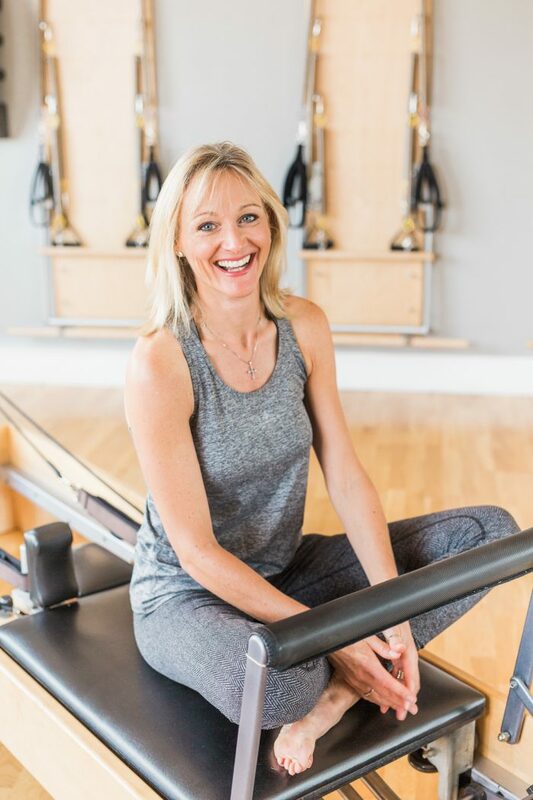 June is Mat and Reformer trained and we are delighted to have her as a part of the team at Cobham Pilates!